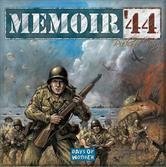 THIS WILL BE A VERY SPECIAL EPIC SCALE MEMOIR '44. The board will be constructed of 3D terrain and mico- armor pieces will be used. This should be a very special experience!